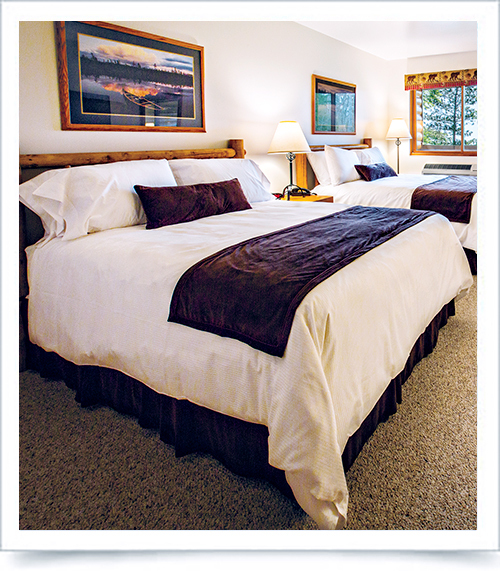 Our newly remodeled rooms reflect the spirit of the Northwoods. Gorgeous pine log furniture provides maximum charm and comfort. Guest rooms feature large flat screen TV and refrigerator. Complimentary light breakfast served daily. You are only minutes from shopping and dining in downtown Manitowish Waters, steps away from our Spa and a short drive north of Minocqua.